nicu's FOSS'n'stuff: Life on the fast lane OR Fedora Steampunk OR Who is brave enough to wait? Life on the fast lane OR Fedora Steampunk OR Who is brave enough to wait? 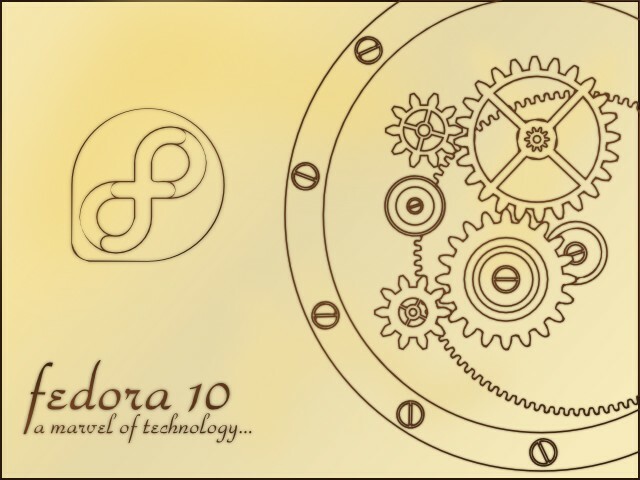 We have still a few weeks (maybe even a month) ahead until the Fedora 9 release, the graphics are almost ready and checked in the distro, can we just sit back and relax? Of course not! Andy came with a first idea for a F10 theme (sky), Mo with a couple more (neon and steampunk), Frank with another one (waterfalls), the season is open. 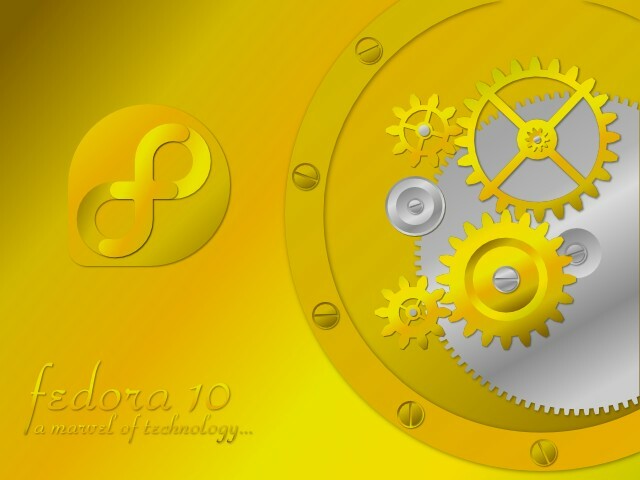 And with a bit of impulse from Martin it went in a first official proposal for Fedora 10 themes. Note: those are conceptual, unpolished graphics. That is living on the fast lane: F9 is not yet released and we already dream at F10. These look brilliant. Will be a big departure from the blue, but well they'll be worth it. Now that you mention blue... I think I can come with a way to put back some blue, like a blue gemstone mounted into the gear. And blue would not help the similarities.. I love the tech drawing version. You could do it as a blueprint if you want it to be blue (does a blueprint seem not steam punk enough?). Yes, is on my TODO to try a more blueprint like version of the paper approach. Maybe I should re-watch Laputa, I remember there a blueprint which I could use as an inspiration. The gold colour looks very tacky, and the the Fedora text is awful. A Fedora theme must be mainly blue. The concept of gears could work, but these initial drawings need a *LOT* of work. Tom, I agree that a Fedora theme should be blue, this is why I followed with another post about my ideas on hot to put some blue back. Of course those drawings need a lot of work, they are just concepts. We have what? about half a year in front of us to refine them... (or to drop and replace completely).